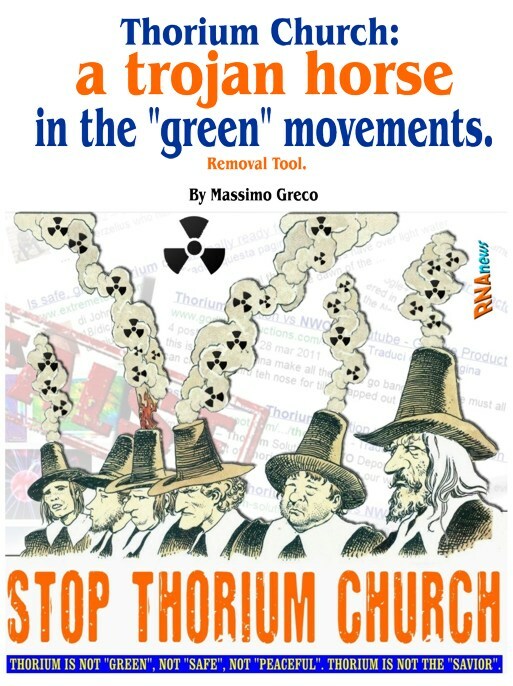 #Thorium Church: a trojan horse in the "green" movements. Here the Removal Tool. 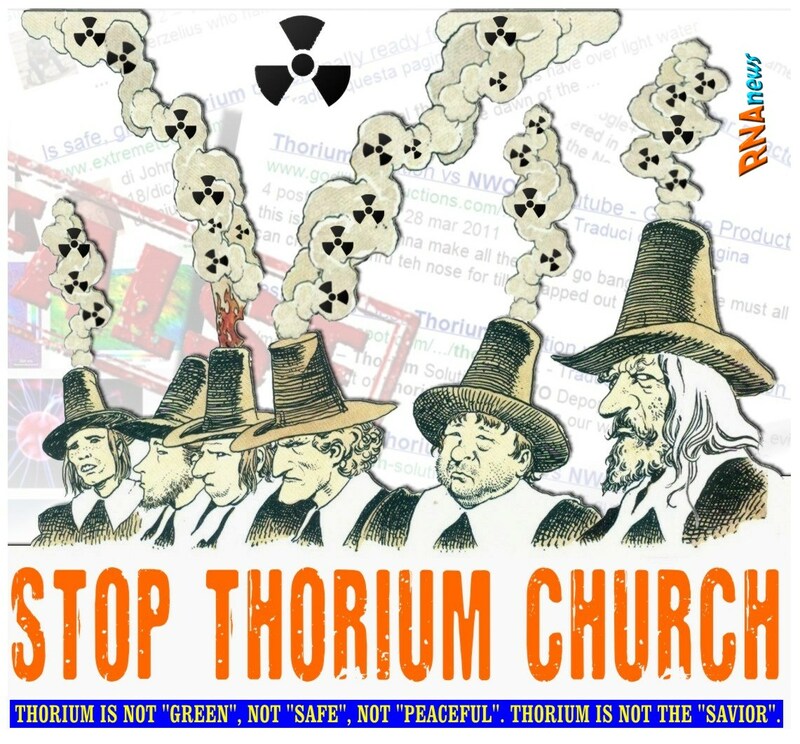 #Thorium Church: a trojan horse in the "green" movements. Here the Removal Tool. ★ "How do I know if my preferred "green" organization, or group, or leader... is infected by the 'thorium church' trojan horse?". 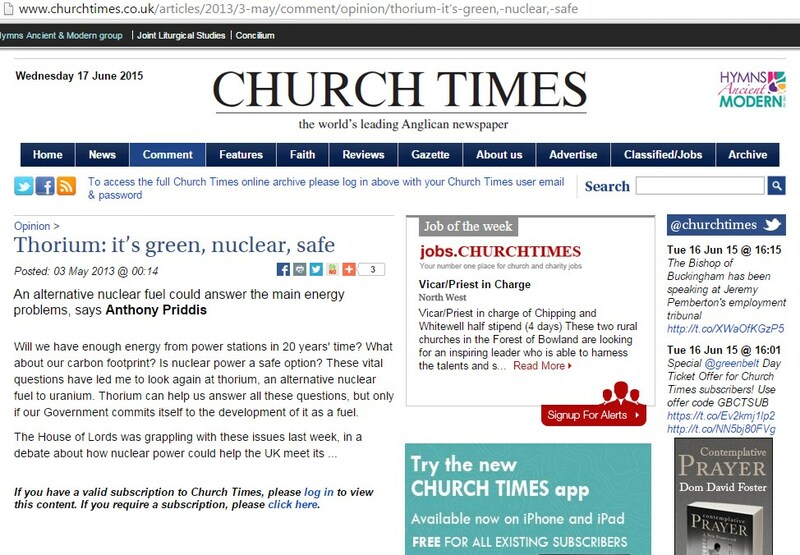 How to protect yourself from malicious propaganda of Thorium Church or from related compromised group or organizations. Trojan horses, otherwise known as trojans, are programs or applications that are inadvertently opened by the user, who expects the file to be something else.. by the same way "thorium supporters" are infecting forums, mailing list, debacts and environmental organizations. It's a strategy that is working in progress from some year. In few years they infected large part of the web. Like any malware, thorium's priests are insinuated through any open space or open port .. and they are able to act at different levels. Mutating depending on the circumstances, improvising them selves as technicians or economists with the sole purpose of creating deviationism which in practice consists of annoying redirect to their cause that is regularly touted as a "green" solution or, even, "pacifist" or as a miraculous solution for the "salvation of the climate". Their function is aggressive, especially when you try to contradict them. They always want to have the last word in any discussion, obsessively, and only when it is too late you will realize how they can make you loosing your precious time. At that point you will no more than take note that they have achieved their goal. The infection has taken place and yours space is compromised. Whether it on youtube, any social network, forums or in any blog ... it makes no difference: the malware is mutant. And in this, their behavior is very reminiscent of the deviationist hysteria typical of the fanatics of "chemtrails". And this is not a "coincidence". In fact one of several strategies, probably the most important, of the priests of thorium, has been to adopt the method of the conspiracy. Internet is full of delusions offering thorium as ecological way prevented by the famous NWO .... This was the most successful strategy in the work of proselytism in previous years, because it could involve a considerable number of idiots on the net. "that has nothing to do.." ??? 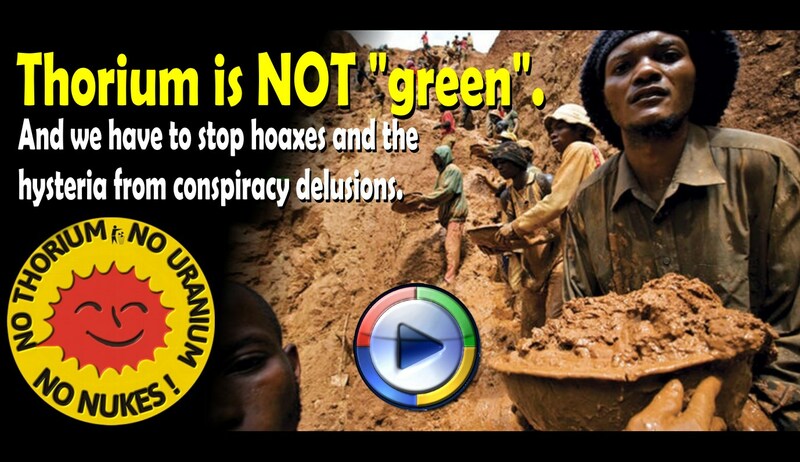 So... why, in their propaganda, the most important slogan is "Thorium is green"? "it's natural"... "viable"... "clean".... or "peaceful"??? Is there any "pope" in this kind of "church"? 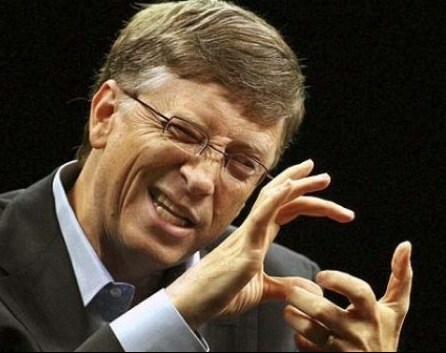 According to an article diffused by "Energy & Capital" that is a network resource that promotes "Pratical Investment Analysis in the New Energy Economy", Bill Gates (whose company TerraPower has also begun testing thorium reactors) is one of the major investors. On the Huffington Post you can read also that "In the U.S., TerraPower, founded by former Microsoft chief technology officer Nathan Myhrvold, with backing from Bill Gates, is working on a "traveling wave reactor"--often described as 'the world's most passive fast breeder reactor' --that will be able to run on both thorium and uranium and is due, in prototype form, by 2020." So not only priests but also cardinals.... like Kirk Sorensen, former NASA aerospace engineer and formerly chief nuclear technologist at Teledyne Brown Engineering. Often present in all the results of the infected search engines used to promote about "the potential for thorium to offer humanity a safe, cheap and abundant source of energy". "How do I know if my preferred "green" organization, or group, or leader... is infected by the 'thorium church' trojan horse?" First check if the leader or "group leader" you are referring knows the problem of thorium, whether it has never taken a position on it. If the answer is "I do not know the problem" or "what you're talking about," you have the first certainty that your organization or target group is NOT protected. 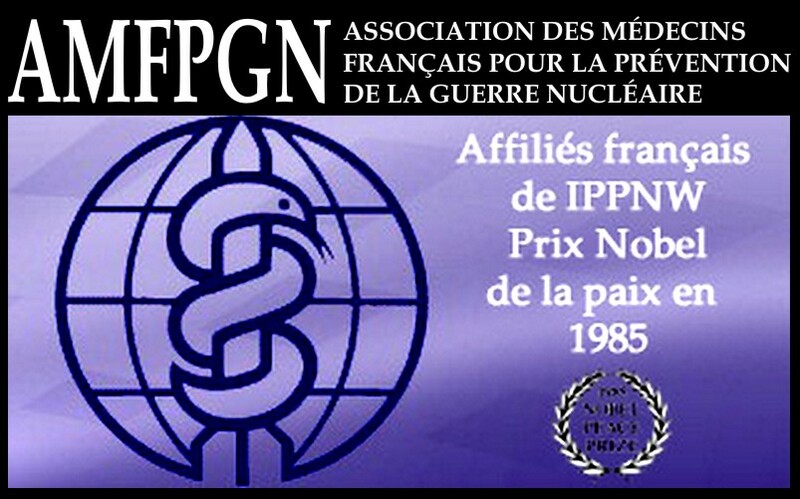 If the answer is: "It is not a problem that concerns us", "there is no matter in our topic or with antinuclear matter or uranium ...", or even worse ... "nuclear thorium could be a clean way but the NWO prevents "... then you have the most certain that your group or environmental organization is terribly infected and that the leader is highly compromised. If you are doing this survey "in public", in a forum related to your organization reference, and after posting these sacrosanct questions and you are reproached or assaulted without causing or leading an intervention by the "admin" able to defend you, that's another proof that your organization, or environmental group, results hugely infected. You can also do a very easy search to see if the "admin" or the "most active" subjects are related to pro-thorium forums or registered as supporters of fan in groups offering thorium as a "savior" or "green", especially when you attend to spam and suspicious behavior in the forums or social networks. You can do the same search about chemtrails or "HAARP" deviationism. As better Explained before, Thorium Church used very much the conspiracy decoy in order to mislead, confused and make it weak, vulnerable and unpractical environmental movements. If, as explained above, your reference group or environmental organization is infected: leave the group. This way you will avoid being accomplices. Thou hast tried, you have already taken the necessary steps. You're not responsible. You have tried to change things. If you are a "leader" or admin of a forum, or group... or green or environmental organization, you have to eject such people before they get completely the control of any topic. 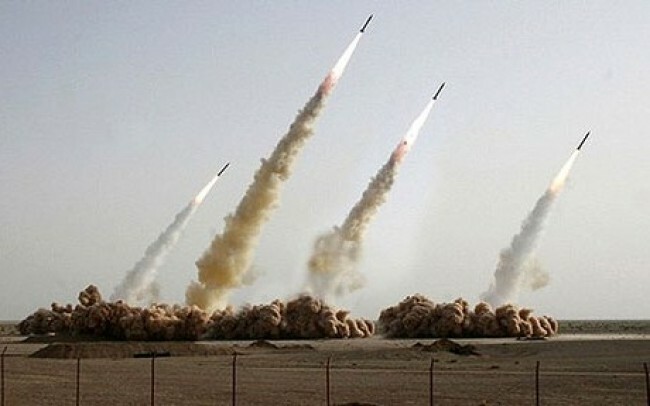 You have the duty to eject these individuals, without any hesitation of "democracy" and "freedom of confusion"... Because they, in the spaces controlled by the Thorium Church, do not allow you ever to contradict them and erase systematically, as their typical practice, anything that might cast doubt on their truth or propaganda. And, in any case, as admin or "leader" you have a duty to treat these subjects like any nuclearist that want to provoke discussion on the space that you are owning, or controlling. Simply "turn off" the option about "free comments" [youtube] and choice comments under authorization or moderate. If you are admin of social pages delete their worms (spamming) and eject the veicle of infection (for the reasons better explained before). 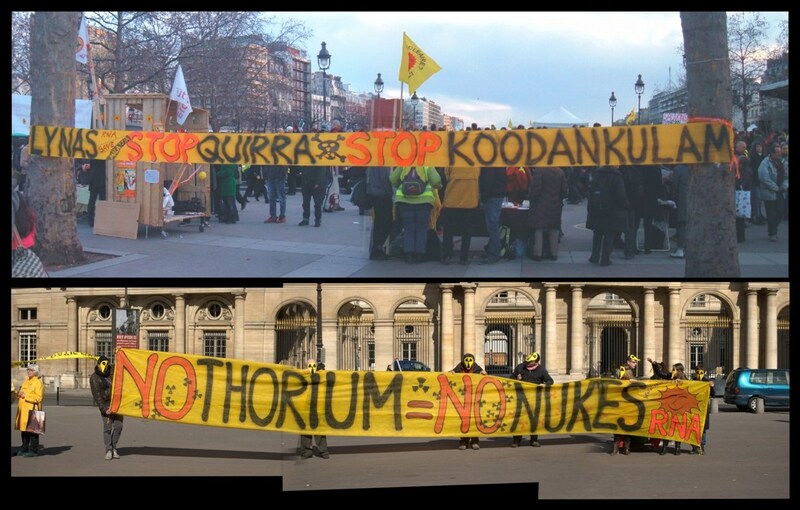 "How can I become active against cultural damages of pro-nuclear business propaganda of the Thorium Church?" Ofcourse there are many different ways. Remember that pro-nuclear lobbies are pushing for the "new generation of nuclear power", that means not only tradicional way of uranium. In fact they are talking about "nuclear of future". So, "green", environmentalist organizations, antinuclear people need to look about future strategies of the lobbies and not only to the past or the temporary, local, contingencies. So it's important to diffuse all the events, documents and positions, everywhere is possible, in order to counteract the mala information and debunking thorium commercials spot on the net. 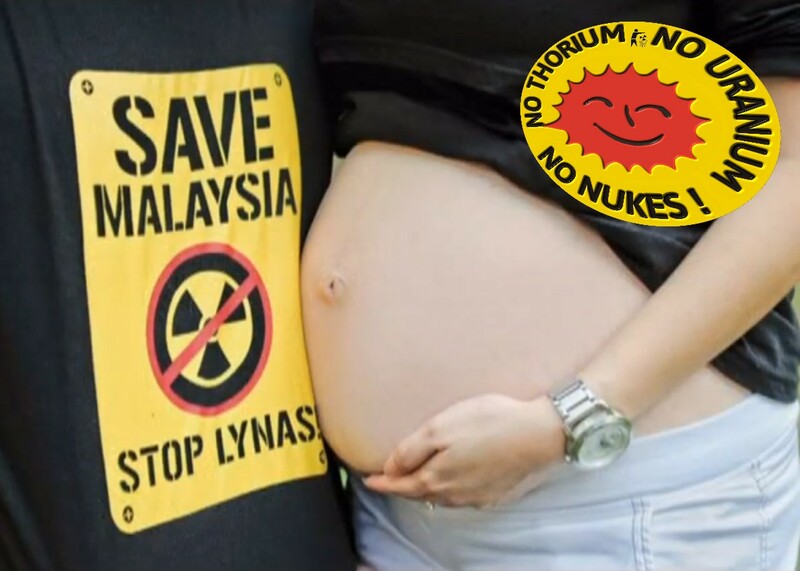 To start an international and active support of the antinuclear movement in Indonesia, Malaysia, specially concerning the mobilization around Lynas, Koodankulam and any Rare Earth opposition in the West Asia. Promoting an active "UPGRADE" of all the antinuclear organizations. Not only. You can help also supporting all the RNA spaces. Like this. For a new "NoThorium" activism. 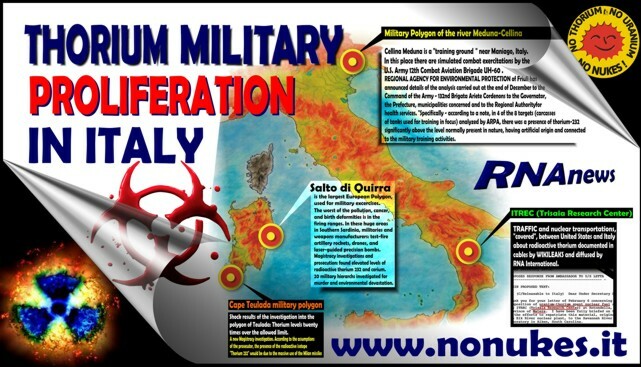 RNA was the first organization that started activism against thorium in Italy and in Paris. And at this moment has and diffuses the most rich archive of documents against thorium. RNA archives - This conference was the first anti-nuclear event where there were taken decisive distances from those who promote thorium as a "green" solution and the hysteria from conspiracy or following the ufology about "haarp", "chemtrails" and the climate change denialism. 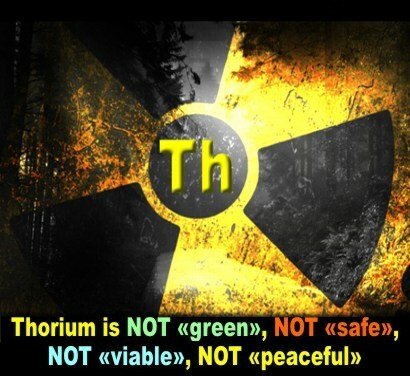 Thorium is NOT "green". And we have to stop hoaxes and the hysteria from conspiracy delusions. The MILAN anti-tank guided missile (MILAN ATGM) is fitted with an encapsulated IR heat radiator containing thorium (Th) with an activity of 10 Kilobecquerels (kBq). Contamination may occur through inhalation. As far as the gunner is concerned, the hazard dosage value, pursuant to German radiation protection law, is not exceeded until 100 rounds of ammunition have been fired. 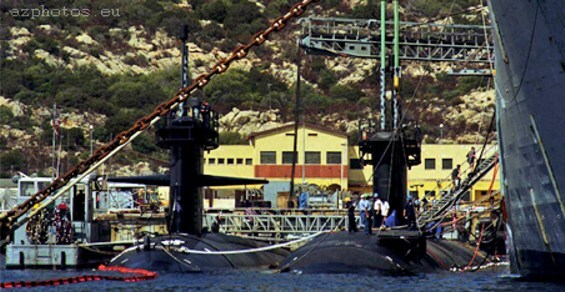 On 13 November 2002, damaged nuclear submarine Oklahoma City was taken to La Maddalena; on 25 October 2003 submarine Hartford ran aground. A trivial accident, in the words of Rear Admiral Stanley. However, he removed the base top officials, which was a very strange act for something so unimportant. Independent researchers who have analyzed the water near the U.S. base have found consistent amounts of radioactive thorium 234, cobalt and plutonium. An analysis carried out by consortium Epidemiologia Impresa Sviluppo on behalf of the Sardinia government has found that in La Maddalena area the rate of deadly diseases is far higher than in the rest of the country. For example, Non-Hodgin lymphoma is 177.8% higher for men; 335% more people have been hospitalized for melanomas; lung cancer is 43.6% higher. Just a coincidence? European Parliament - Parliamentary questions. Subject: Radioactive pollution at La Maddalena. WRITTEN QUESTION by Jean-Luc Bennahmias (Verts/ALE) to the Commission. La CRIIRAD découvre un excès de thorium 234 - • L’hypothèse de l’uranium est écartée. La base militaire américaine de San Stefano, située entre la Corse et la Sardaigne, dans l’archipel de La Maddalena. Senat - Site du Sénat française. Concentration de thorium 234 dans des algues prélevées dans les bouches de Bonifacio. Question écrite n° 11981 de Mme Marie-Claude Beaudeau (Val-d'Oise - CRC). Réponse du Ministère de l'écologie et du développement durable. 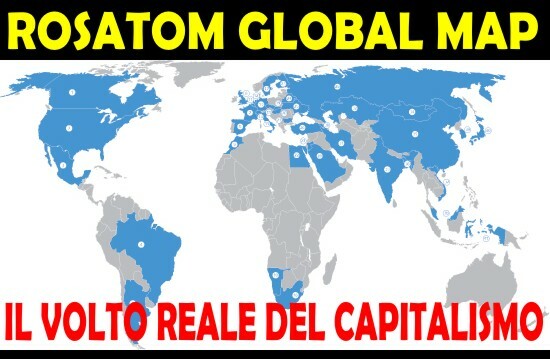 "Una foto storica: tre sommergibili Usa nella base di Santo Stefano"
"L'isola cuore segreto delle strategie Nato"
Nei dintorni della base di Teulada, percentuali dell’isotopo radioattivo Torio 232 da dieci a venti volte rispetto alle norme erano già state rilevate tra il 2013 e il 2014 grazie agli accertamenti commissionati dal pm della Procura di Cagliari Emanuele Secci, titolare del fascicolo d’inchiesta contro ignoti sulle attività del poligono. 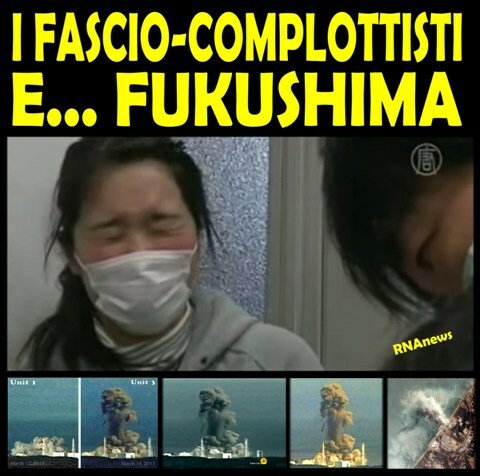 ✔ ☢ ☣ La presenza dell’isotopo radioattivo “Torio 232” sarebbe dovuta al massiccio utilizzo dei missili Milan, abbondantemente impiegati sino al 2003 dall’esercito italiano, quando furono dismessi in seguito alla segnalazione della Difesa francese, che aveva denunciato la tossicità del Torio. Tuttavia, nel corso del primo semestre di esercitazioni del 2014, sono stati lanciati ulteriori 4 missili Milan – a testa inerte, secondo quanto dichiarato dalle autorità militari – e nuovi lanci dello stesso missile sono previsti nel primo semestre di esercitazioni 2015, non è chiaro se inerti o meno. ✔ Lo Stato nega l’accesso ai dati: sono segreti e suscettibili di pregiudicare le relazioni internazioni, l’ordine, la sicurezza e la difesa nazionale. Questa la risposta del Ministero degli Interni ai giornalisti de Il Fatto Quotidiano che hanno dato la notizia sulla rete top secret che misura in tempo reale i livelli di radioattività. Tutto quello che i fanatici supporters del Business nucleare al torio non vi diranno mai. 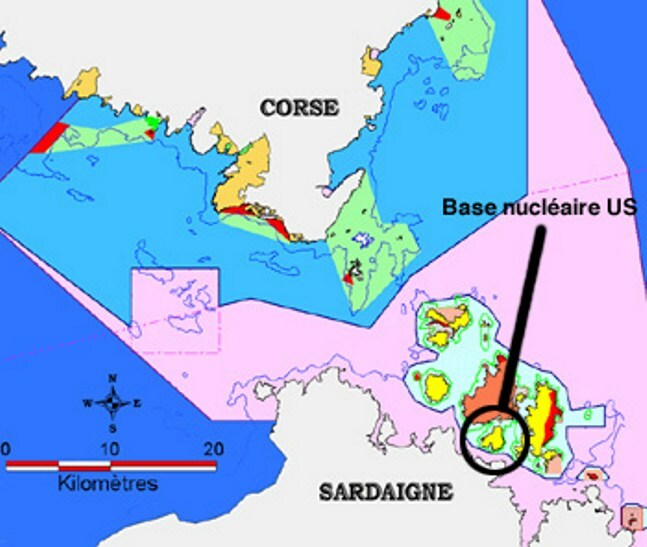 SARDAIGNE, MISSILES “MILAN”, THORIUM, BERGERS, UNE MIXTURE EXPLOSIVE. LE POLYGONE DE TIR DE QUIRRA – SARDAIGNE. Le thorium comme l’uranium a une double toxicité: chimique, comme tous les métaux lourds et radiotoxique. Cette toxicité liée à sa radioactivité est très élevée, bien au delà du plus grand toxique que nous connaissons c’est à dire le plutonium. La limite annuelle d’incorporation du plutonium est de 300 Bq/an alors que celle du thorium est de 90 Bq/an! Il s’y ajoute de plus la toxicité propre de ses descendants. The distribution and the contamination level of uranium (U) and thorium (Th) radionuclides and potentially toxic metals, Cu, Li, Mn, Sr, and Zn were investigated in surface sediments from aquifer systems around a uranium industrial site in the northern Guangdong Province, China. The paper focused on the leaching behaviour of uranium (U) and thorium (Th) from uranium mill tailing collected from the Uranium Mill Plant in Northern Guangdong Province, China. Distilled water (pH 6) and sulphuric acid solution (pH 4 and 3) were used as solvent for the leaching over 22 weeks. It was found that the cumulative leach fraction from the mill tailing was 0.1, 0.1 and 0.7 % for U release, and overall 0.01 % for Th release, using distilled water, sulphuric acid solution of pH 4 and pH 3 as leaching agents, respectively. The results indicate that (1) the release of U and Th in uranium mill tailing is a slow and long-term process; (2) surface dissolution is the main mechanism for the release of U and Th when sulphuric acid solution of pH 3 is employed as the leaching agent; (3) both U and Th are released by diffusion when using sulphuric acid solution of pH 4 as the leaching agent and (4) U is released by surface dissolution, while Th is released by diffusion when using distilled water as the leaching agent. The implication for radiological risk in the real environment was also discussed. China Tries to Clean Up Toxic Legacy of Its Rare Earth Riches - The New York Times. The most hazardous refineries are those that crack the tight chemical bonds that tie rare earths found in mineral ores to a variety of hazardous materials, notably radioactive thorium. Many tons of extremely concentrated sulfuric acid are used to break the chemical bonds. The city of West Chicago is asking for public feedback on its request for a $200,000 EPA environmental cleanup project to remove hazardous waste — including "radioactive contaminants related to thorium mill tailings"
By Gordon Edwards. Thorium reactors. "Thorium cycle" is a very dirty and dangerous business. International NEWS, FACT and CHRONICLES that "2.0 people" use to ignore, everyday. Following a largely broken or incomplete paper trail, residents and activists have found evidence that there may be soil laced with uranium, thorium and radium buried there. 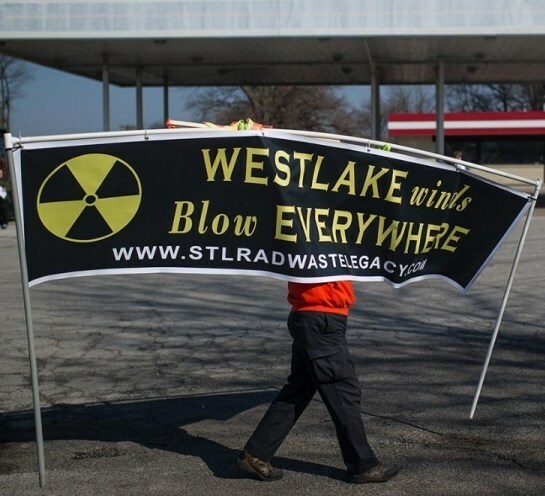 Documents obtained from the Missouri Department of Natural Resources and Nuclear Regulatory Commission show that the “clean fill” may have also been contaminated, and researchers have concluded that there has never been an accurate analysis of what exactly was dumped at the West Lake Landfill. The soil came from another radioactive waste storage site in St. Louis, currently being cleaned up by the Army Corps of Engineers. A 2013 report by a researcher at the Institute for Policy Studies found that the “clean fill” dumped at West Lake was composed of 12-18 inches of topsoil scraped from this other site. 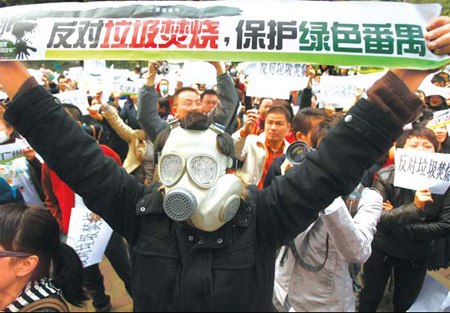 The remaining soil at that storage site — the soil left behind after the “clean fill” was removed and dumped at West Lake — was found to be highly contaminated with thorium and uranium. The German Federal Ministry of Defence informs the Kurdistan Regional Government (KRG) that items supplied by the Ministry may contain substances classified as hazardous under German environmental law. The handling and disposal of such items is subject to the relevant national regulations. ✔ The MILAN anti-tank guided missile (MILAN ATGM) is fitted with an encapsulated IR heat radiator containing thorium (Th) with an activity of 10 Kilobecquerels (kBq). Contamination may occur through inhalation. As far as the gunner is concerned, the hazard dosage value, pursuant to German radiation protection law, is not exceeded until 100 rounds of ammunition have been fired. Kerr-McGee Corporation and certain of its affiliates, and their parent Anadarko Petroleum Corporation, will pay $5.15 billion to settle a fraudulent conveyance case in the bankruptcy of Tronox Inc. and its subsidiaries. The bankruptcy court had previously found, in December 2013, that the historic Kerr-McGee Corporation fraudulently conveyed assets to New Kerr-McGee to evade its debts, including its liability for environmental clean-up at contaminated sites around the country. Pursuant to the settlement agreement, the defendants agree to pay $5.15 billion to settle the case, of which approximately $4.4 billion will be paid to fund environmental clean-up and for environmental claims. The case represents the largest environmental enforcement recovery ever by the Department of Justice. “For 85 years, Kerr-McGee operated numerous hazardous businesses, and those businesses caused significant damage to the environment and to communities exposed to contamination,” Cole said. 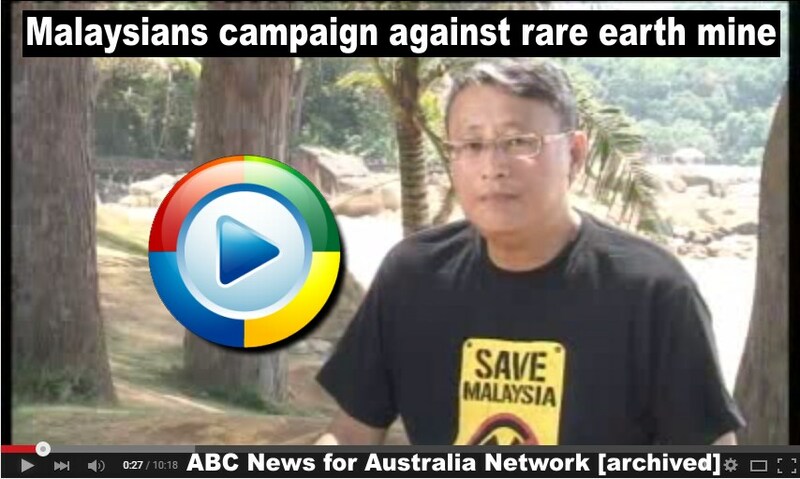 Malaysia has experienced a deadly thorium disaster before, which is still being cleaned up. 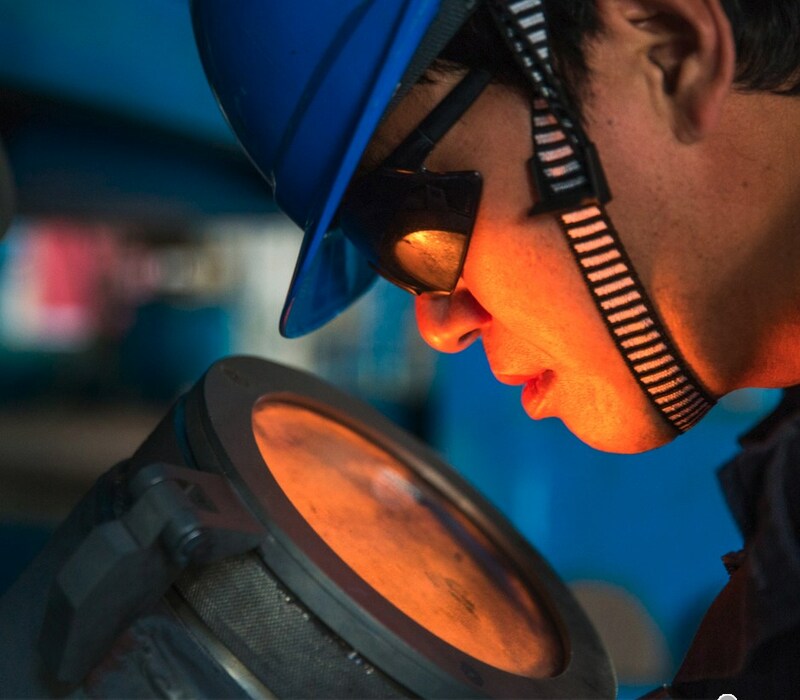 Lynas Corporation says the waste is safe, and the Malaysian Government has given approval for the plant to go ahead. The public outcry has now prompted Malaysia to call an inquiry. How are people exposed to thorium? Since thorium is naturally present in the environment, people are exposed to tiny amounts in air, food and water. The amounts are usually very small and pose little health hazard. Thorium is also present in many consumer products such as ceramic glazes, lantern mantles, and welding rods. People who live near a facility that mines or mills thorium, or manufactures products with thorium, may receive higher exposures. Also, people who work with thorium in various industries may receive higher exposures. How does thorium get into the body? People may inhale contaminated dust, or swallow thorium with food or water. Living near a thorium contaminated site, or working in an industry where thorium is used, increases your chance of exposure to thorium. What does thorium do once it gets into the body? If inhaled as dust, some thorium may remain in the lungs for long periods of time, depending on the chemical form. If ingested, thorium typically leaves the body through feces and urine within several days. The small amount of thorium left in the body will enter the bloodstream and be deposited in the bones where it may remain for many years. There is some evidence that the body may absorb thorium through the skin, but that would not likely be the primary means of entry. 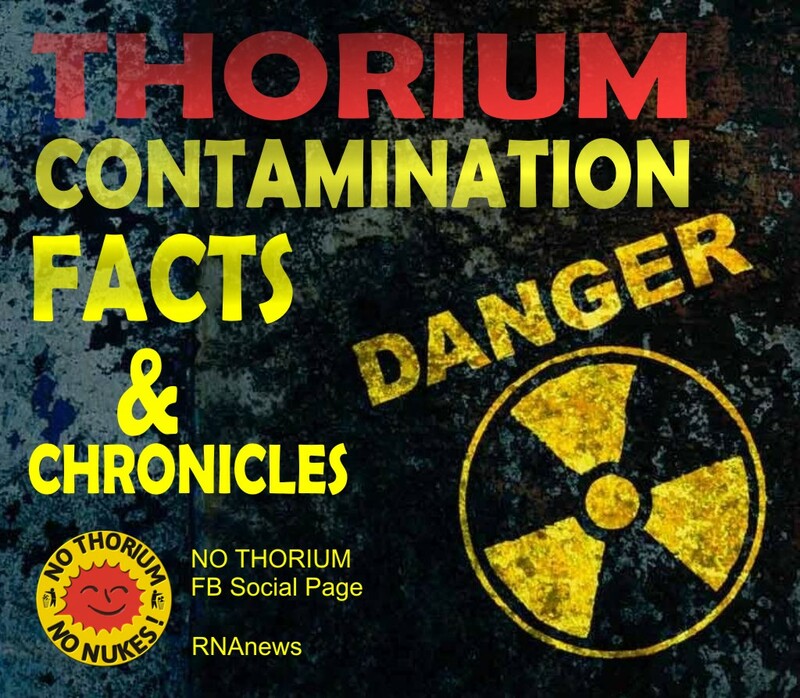 How can thorium affect people's health? The principal concern from low to moderate level exposure to ionizing radiation is increased risk of cancer. Studies have shown that inhaling thorium dust causes an increased risk of developing lung cancer, and cancer of the pancreas. Bone cancer risk is also increased because thorium may be stored in bone. Is there a medical test to determine exposure to thorium? There are special tests that measure the level of thorium in the urine, feces, and also via exhaled air that can determine if a person has been exposed to thorium. These tests are useful only if taken within a week after exposure. 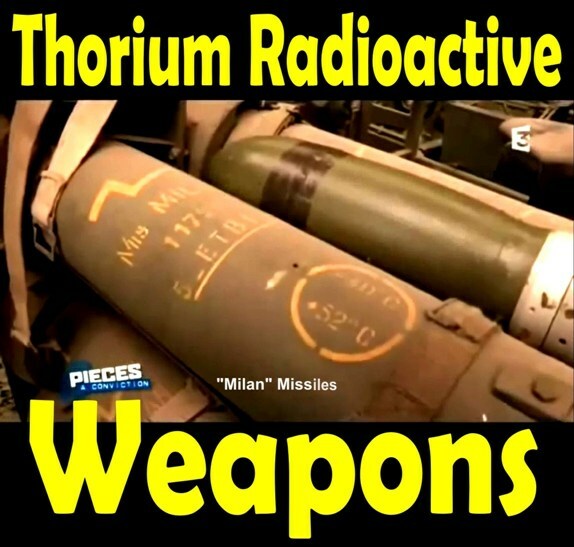 You need special equipment to detect thorium not available in doctors offices or most hospitals. Some federal facilities and specialized laboratories have this capability. What is EPA doing about thorium? 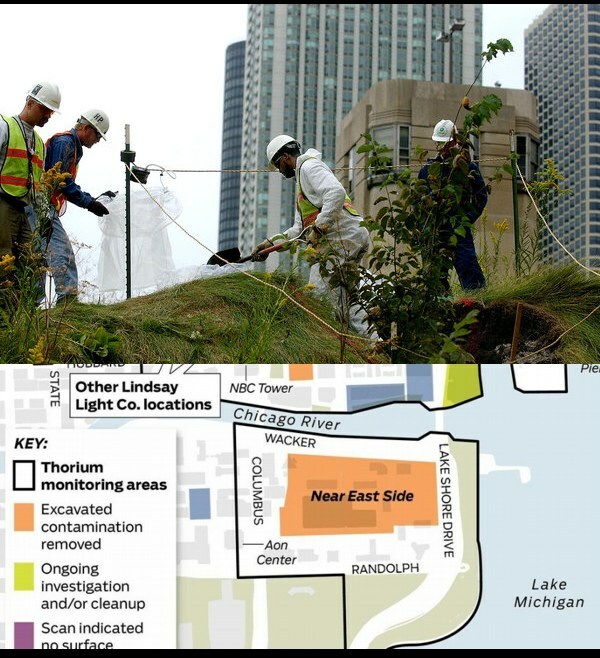 EPA protects people and the environment from thorium by establishing standards for the clean-up of contaminated sites, and by setting limits on the amount of thorium (and other radionuclides) that may be released to the air from specific sources, or found in public drinking water.